Bear Pack VIP ONLY ! Remember! If you join the monthly Bear Pack you get all these prints for FREE! 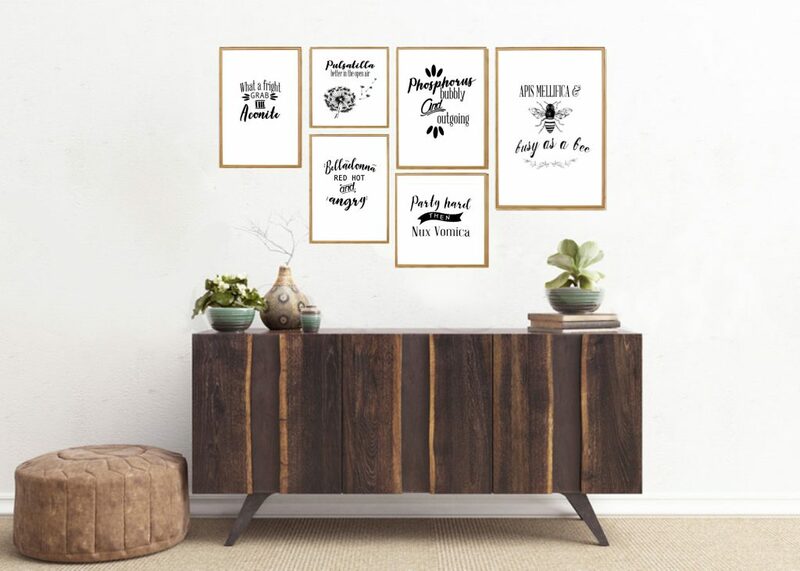 Our volunteer designer has created these gorgeous digital prints— hang them up near your homeopathy remedy cabinet, or add them to your gallery wall! It’s décor with a cause, and it’s a great conversation starter for friends who ask, “What’s Belladonna?” The prints come in 5×5, 5×7, and 8×10 sizing. Note: These are digital prints. That means can print them at home or send them to your local print shop! If you want to gold foil any of your digital prints, you can visit specialty printers (i.e. on Etsy) and make a custom foil order. Our prints are configured for foil printing. Click below to visit his website; be sure to enter “HOMEOPATHYCHOICE” at check out. Well regarded author and homeopath, Dana Ullman, has agreed to give Americans for Homeopathy Choice 25 percent of the purchase of either e-book listed here. Be sure to include the words “HOMEOPATHYCHOICE” in the comment section when you purchase either of the books. Click here to be taken to Dana Ullman’s website. Click below to visit their website; be sure to enter “AFHC19” at check out! Click here to be taken to Washington Homeopathics’ website where you can buy your kit. Be sure to enter the coupon code “AFHC19” at check out to get your discount while donating 15% to HomeopathyChoice.org. Seasoned homeopathy mothers and others can tell you that this is THE starter kit that launches you into the world of homeopathy. If you’re a newbie to homeopathy or an oldie, this kit is essential for your homeopathy preparedness. It contains 91 of the top homeopathy remedies in 30c and 9 of the top emergency remedies in 200C. Click here to learn more about the kits and to order yours. 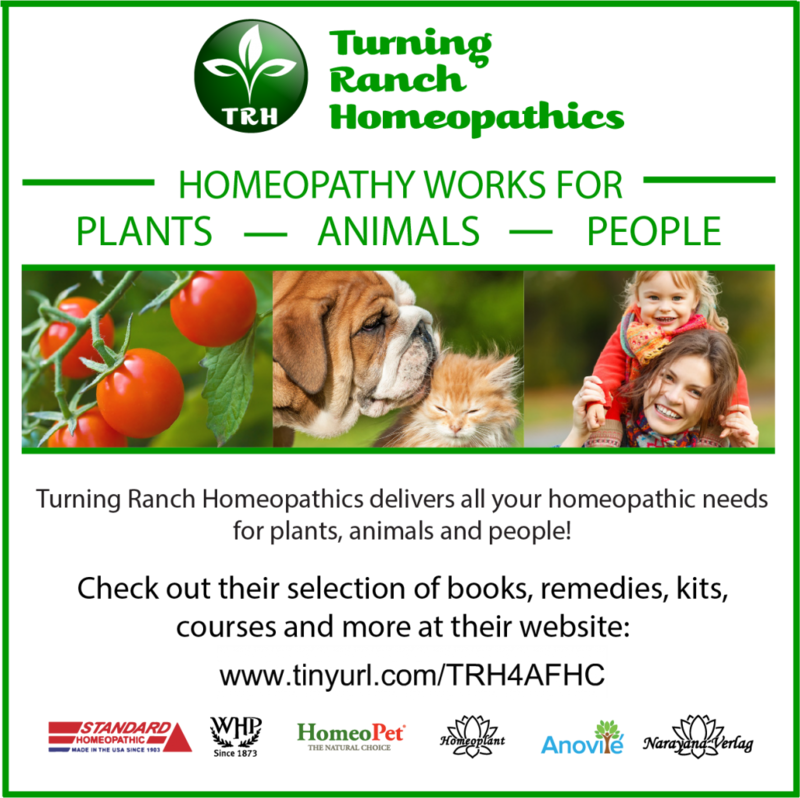 Click here to shop at Turning Ranch Homeopathics! 5% of your purchase will be donated to AFHC. Turning Ranch Homeopathics offers a variety of products. Whether you’re wanting a new book or looking to take a class- they can hook you up!